July 22, 10 am – noon — Coffee Hour — Join us for a cup of coffee or tea, a sweet or two and good conversation. Suitable for all ages! July 25, 6:30 pm, Peacham Knitters and Puzzlers— Bring your knitting or other handwork for an evening of creativity and chatting. Or work on the current jigsaw puzzle. 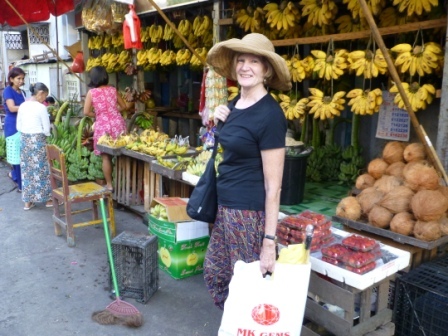 July 28, 7:00 pm, Summer Series – Slow Travel with Marsha Garrison – “Travel by Teaching: A Semester in Myanmar” – Travel by staying in place. July 29, 10 am – noon — Coffee Hour — Join us for a cup of coffee or tea, a sweet or two and good conversation. Suitable for all ages! New books are on the shelves. Prefer audio books or ebooks? Try ListenUp Vermont and One-Click Digital.